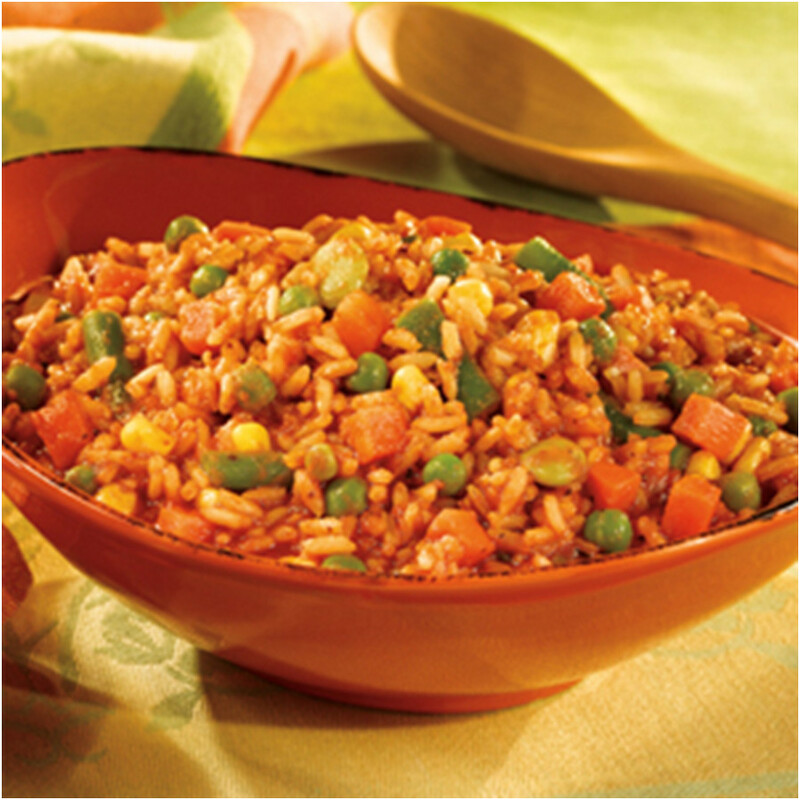 A low fat and colourful vegetarian rice dish that's healthy, light and extremely flavourful. Heat the oil in a 10-inch frying pan over medium heat. Add the rice and cook for 30 seconds, stirring constantly. Stir the vegetable juice, basil and garlic powder in the frying pan and heat to a boil. Reduce the heat to low. Cover and cook for 15 minutes. Stir in the vegetables. Cover and cook for 10 minutes or until the rice and vegetables are tender.